Conducted by Fabio Biondi, the Italian period instrument ensemble Europa Galante performs Antonio Vivaldi’s String Concertos. 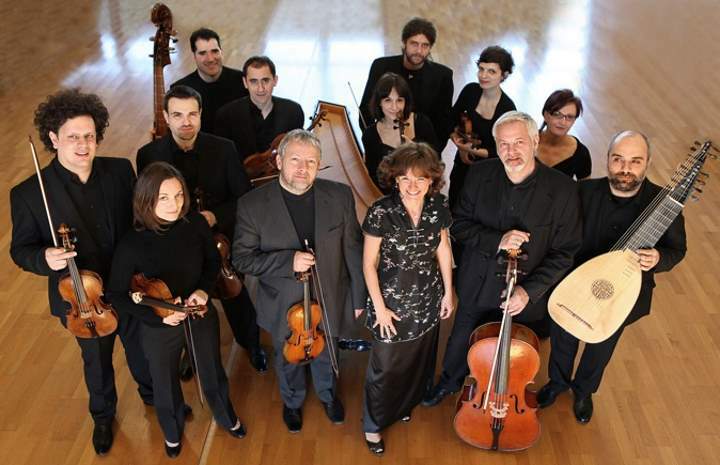 Europa Galante is well known for its spirited interpretations of baroque classics. It is founded by violinist and conductor Fabio Biondi (born 15 March 1961 in Palermo, Italy) in 1990 and directed by him. The ensemble has been invited to play at most important festivals and concert halls as La Scala in Milan, the Accademia di Santa Cecilia in Rome, the Suntory Hall in Tokyo, the Concertgebouw in Amsterdam, the Royal Albert Hall in London, the Wien Konzerthaus in Vienna, Lincoln Center in New York, the Sydney Opera House, and at Kraków Philharmonic. Europa Galante has perform together with soloists like Roberta Invernizzi, Vivica Genaux, Ian Bostridge, Sonia Prina, and Philippe Jaroussky.